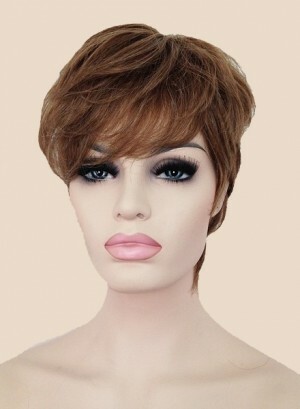 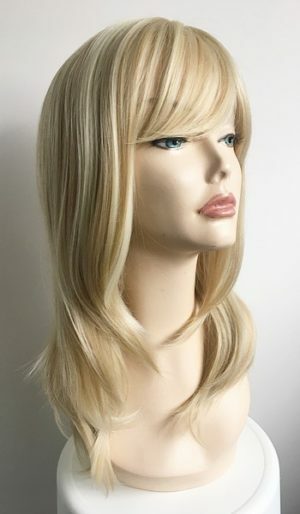 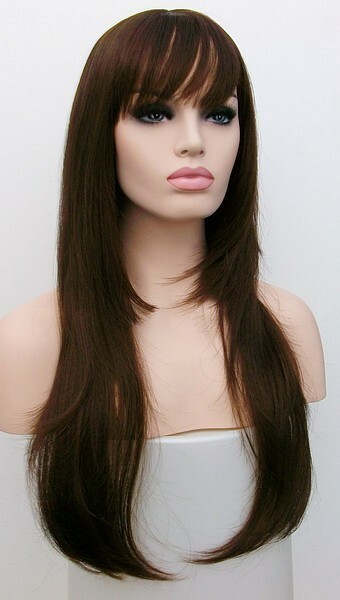 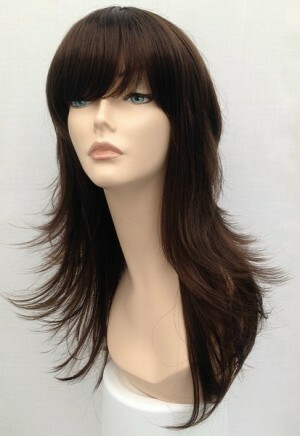 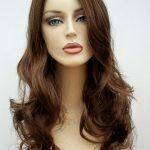 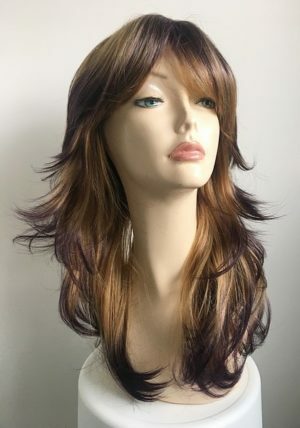 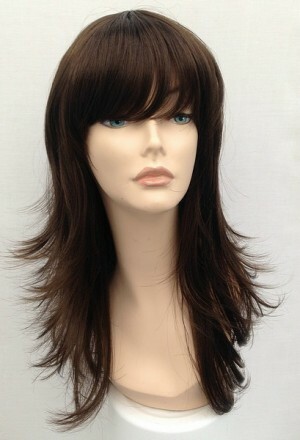 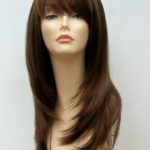 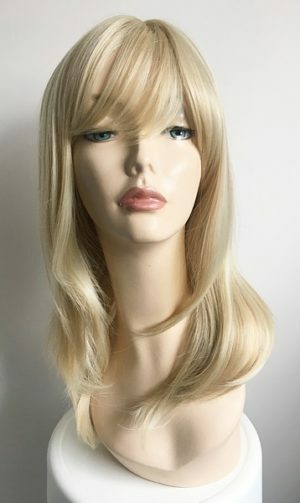 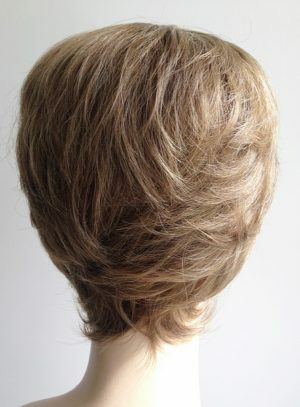 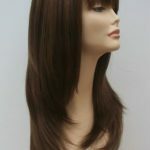 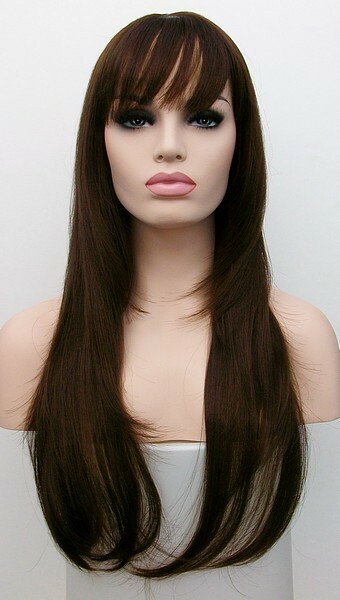 Brown extra long ladies wig Sabrina. 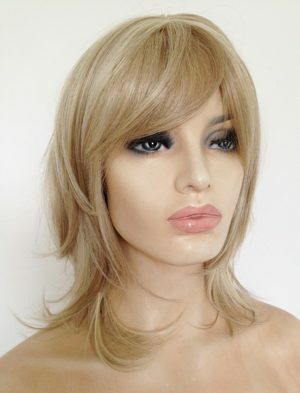 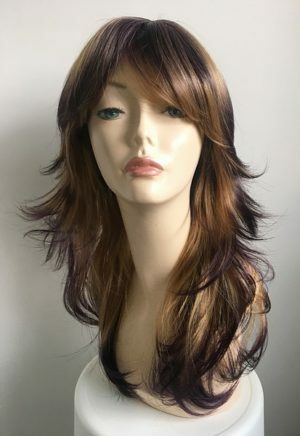 Beautiful ladies extra long wig, warm brown colour shade #6, this wonderful kanekalon fibre synthetic wig has longer layers to sides of the wig, fringe and skin top parting. 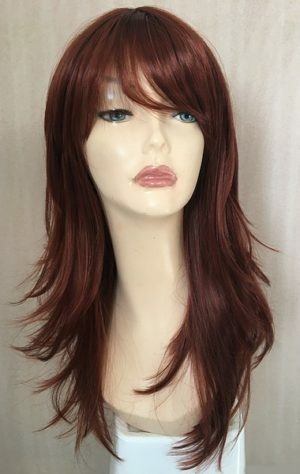 Made with great quality synthetic fibre, easy to wear and to fit, adjustable hooks at the nape of the neck for easy fitting, no wig glue or wig tape required. 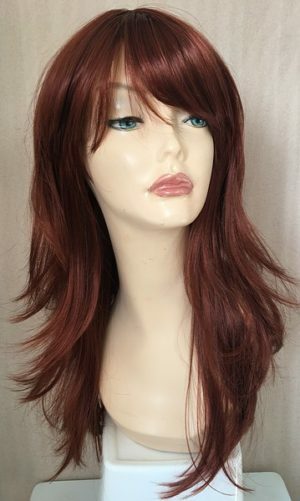 Red ladies wig Farrah, modern styling, ladies full long red wig is a perfect wig for everyday or evening use, Wig Store UK for fabulous wigs for £35.